Our Company was started in the year of 1970 with the name and style as M/s. Ajay Petroleum at Wadhwan in Surendranagar district. This firm was changed to Prakash Petrochem Industries thereafter. Since last 37 years we are engaged in this business. Though the business was started at Wadhwan, the same is developed in Rajkot also and we are getting the benefit of the huge industries in Rajkot district. The pioneer of the business was Mr. Hiralal Sejpal who had enough experience in such business and used his all round ability for development of this business. The business was so successful within 2 years of its operation that we had to compel ourselves to develop in other areas of Saurashtra & Kutch. At present, Mr. Prakash Sejpal, the son of Mr. Hiralal Sejpal is looking after the business at Rajkot and successfully supplies the products to all the industrial parties. In fact, the potential in Rajkot is such huge that day by day the business has grown like anything. When the business was established, our vision was to supply the products in Surendranagar area. Now, since the business is successful, we have to widen our wings to other areas also and in particularly in entire Gujarat and Maharashtra. Now, it is our vision to increase our supply to more customers since we have to start blending the lubricants and Rajkot so that we can reach to our valued customers without any hassle. We want to reach the customers directly so that we can serve the customers in a better way. 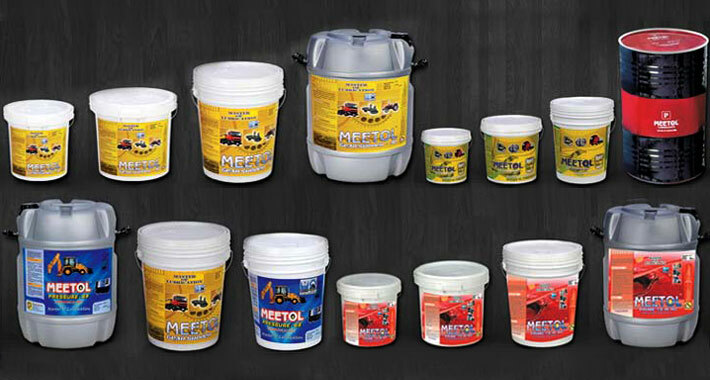 We will start blending the lubricants and supply it with â��MEETOLâ�� brand. Our mission is to reach the customers with better quality, better customer services and with reasonable rates for all kinds of lubricants. Since there is no third party like distributor / agent etc. are involved in the business, we hope that we will directly interact with the customers and supply the products according to their needs. We want to supply our products to the customers with full of guarantee and we will educate the customers about the technical aspects of the products and their correct uses in the industry so that they can take maximum benefit of our products and thus become regular / permanent customers for our business. The entire business is being looked after under the guidance by Mr. Prakash Sejpal and his efficient team members. We have got two latest blending plants at Rajkot and Wadhwan. Both the plants are functioning very efficiently and give the best results. Moreover, we have one show room / office in the Gondal Road Area. This will be functioning as administrative office from where we will monitor the activities of both the blending plants. We have developed a technique for our products so that we can convince the customers about our products and their uses. We can find out the quality required by them and we can deliver in a best way.